On Women's Day my family and I took a day drive out to the Cederberg area. I thought I would share a photo from the day with all of you. Most of the drive was on dirt roads with zero cellphone reception - it was a great day! 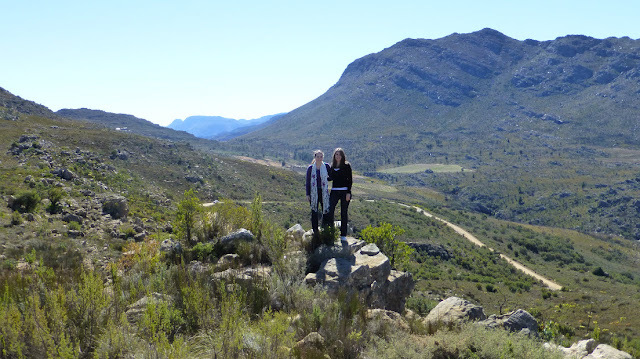 My Sister and I in the Cederberg area on 9 August 2012. Photo taken by my Dad.